For years, Mac fans have petitioned Apple for a modern operating system: not just more spaghetti code piled on top of the ancient Mac OS foundation, but something state-of-the-art and rock solid. We've wanted the stabil-ity of Unix and the good looks of a Macintosh. Be careful what you wish for. Apple's new operating system, Mac OS X, is all that. 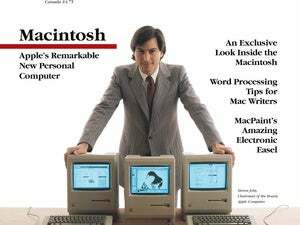 But OS X is unlike any other operating system in Macintosh history, and in its current condition, it requires a great deal of tolerance from the Mac faithful. Although Apple won't release it in final form until spring of 2001, it's now available as a beta (the final stage of development before a product's release) for you to try. Running a prerelease OS is like rafting down an uncharted river or hiking through the back country--there's no telling what danger lurks around the next bend. Running the OS X beta has its upsides, however--including a sneak peek at an operating system that will soon radically reshape your Mac experience. If you're just catching on to this phenomenon, see "Mac OS X Unveiled!" (March 2000) and "X Arrives" (Buzz, November 2000) for overviews of the OS. If you're itching to get your hands on the real thing, you can order the $29.95 Mac OS X-beta CD-ROM from http://store.apple.com. But read this two-part article before the package arrives. We'll show you how to prepare for and install the beta, minimize risks, and navigate the unfamiliar territory.